Archive for the ‘Hospitality’ Category. Do you live in a neighborhood or strangerhood? Our pastor has often used the apt term “strangerhood” in referring to the way many streets have become. If you are in a neighborhood where people know each other, are there for each other, and even have fun with each other, then count your blessings. If you’re realizing that your block is more of a strangerhood, then consider being the catalyst for change! We lived in our old neighborhood for 13 years. For the first few years, we didn’t know very many neighbors. Then, our subdivision had a rash of burglaries. Our local police department encouraged us to develop a neighborhood watch program. Because everyone was concerned about our neighborhood’s safety, there was heightened interest in getting to know one another. I’m sad that it took a serious problem to bring us together, but thankful for the resulting relationships and connectivity. Think about what your family enjoys & ways the kids can help and be a part. * Baked holiday goodies dropped on doorsteps. My kids love delivering them! * Ice Cream Sundae Sunday party one summer evening. * Neighborhood Night Out gatherings in a common area or our front yard. * New Neighbor Welcomes. For more, click here. 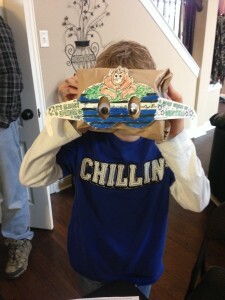 * Aaaaaaannnnnnnndddddd, our all time fave, the ANNUAL NEIGHBORHOOD GROUNDHOG DAY PARTY! Yes, you read correctly. Groundhog Day Party. Why not? Our family loves finding ways to celebrate and creating traditions. So here we are 6 years later, continuing our neighborhood Groundhog Day Party and I’m about to run out of new ideas. There are only so many ways you can get creative with these furry little critters and their shadows! The purpose of this admittedly odd tradition is not to glorify rodents or predictions. We express that it’s just silly fun. Rather, we relish the bond it’s creating for our neighborhood families. After all, not many kids will be able to say they grew up going to annual groundhog day parties! 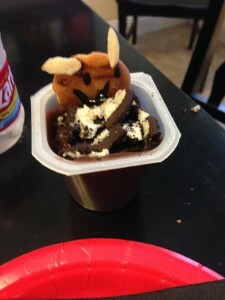 This “groundhog” snack from last year isn’t the cutest idea out there. But it certainly was the easiest because the kids made it instead of me = part of the fun! 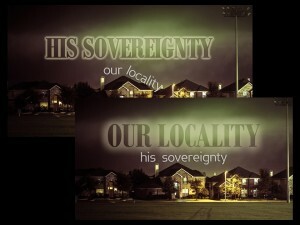 It’s also helpful for me to remember that WE ARE THE CHURCH wherever we live. and he determined the times set for them and the exact places where they should live. Pretty awesome when you think about it, isn’t it?! God has each of us uniquely where we are for a reason. What is your family doing to help make where you live more of a neighborhood than a strangerhood? For more verses on topics like hospitality, that can help you teach these principles to your kids, don’t forget to reference your copy of Parenting with Scripture: A Topical Guide for Teachable Moments.